Google NYC has a Lego area, as is publicly known. 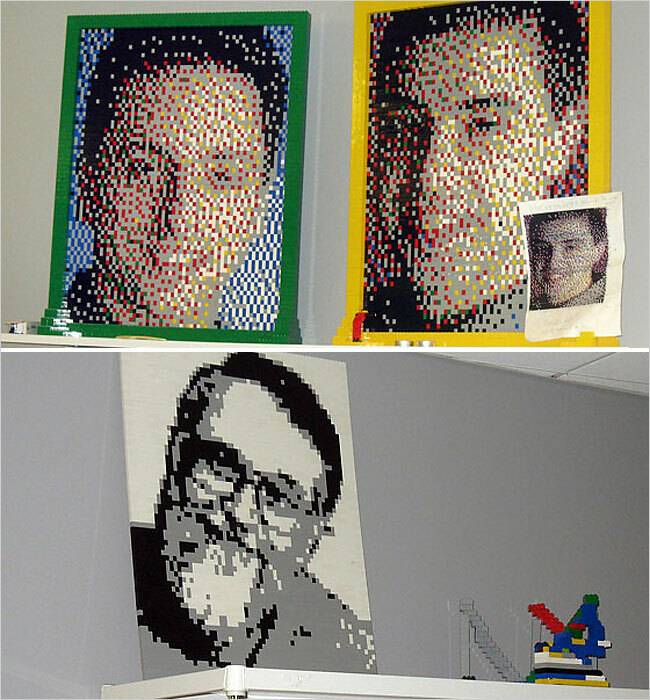 In particular, there are some lego portraits of luminaries who work at Google. However, there was room for another lego portrait, so I took a bunch of lego home and Susan and I put one together. So far, there's been no indication that anyone has even noticed it. But that's okay, I did it for my own delight. Impress your personality on the environment!